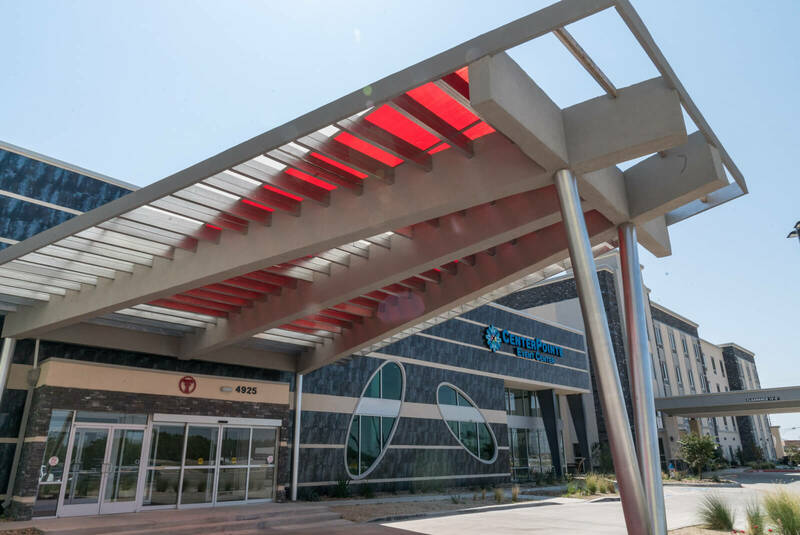 If you’ve traveled along Marsha Sharp Freeway, you’ve likely noticed a building positioned between the Comfort Suites and Days Inn & Suites hotels. The 14,500 square feet of space is now known as CenterPointe Event Center. 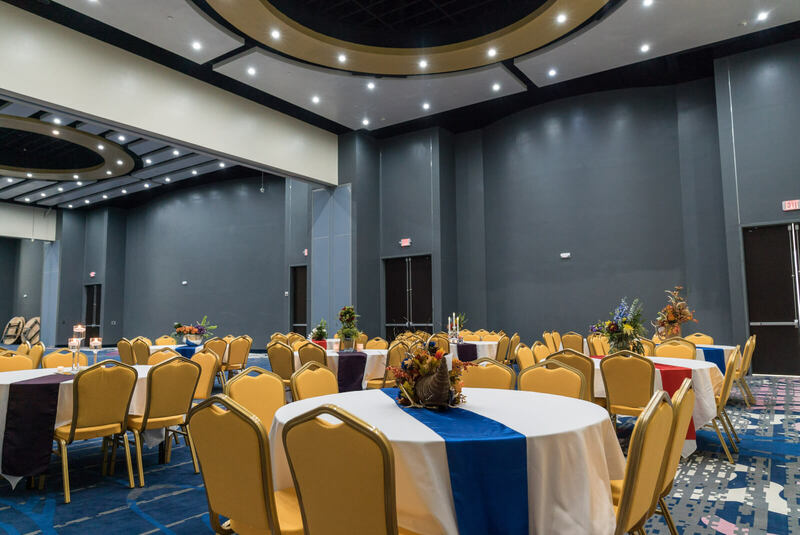 This new venue books events ranging from corporate gatherings, graduation parties, wedding receptions and much more. 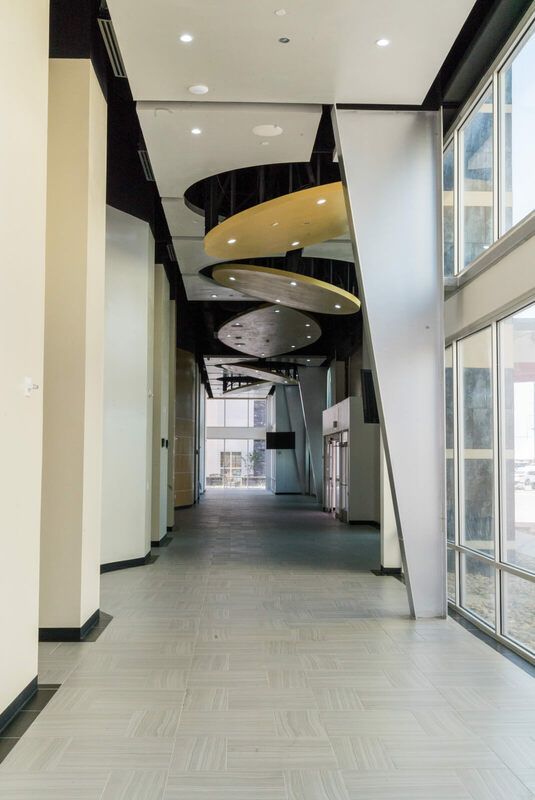 When you enter the building, the foyer immediately greets you with an open concept, complete with floor-to-ceiling windows and comfortable seating along the sides. This area is optimal for attendees to check emails between meetings or set up vendors, and it also provides a great space to set up a buffet line. Welcome your guests on four digital screens outside each meeting room and livestream your sessions on two 46″ televisions. As for meeting space, the venue boasts three sections which can be separated into three individual spaces or combined for one large room. 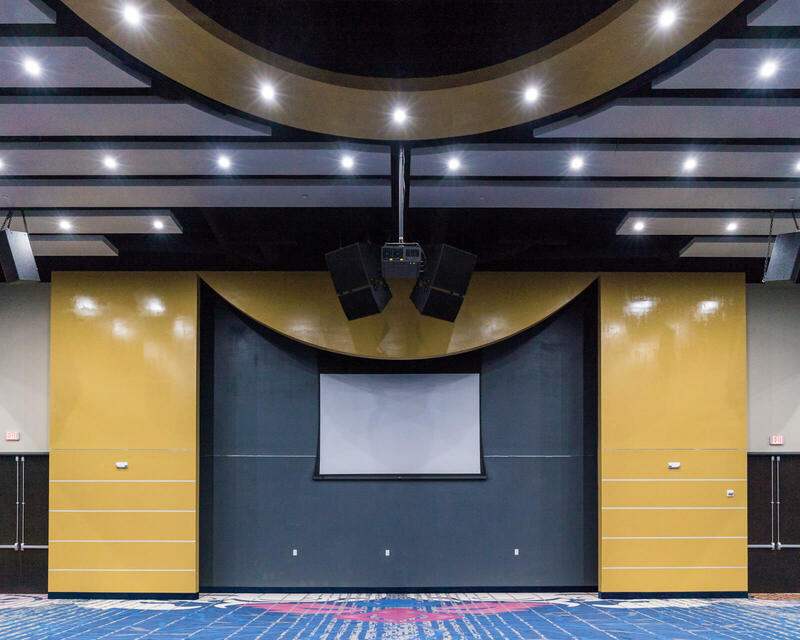 With all partitions up, the room can accommodate 800 people in banquet seating or 1,000 in classroom seating. 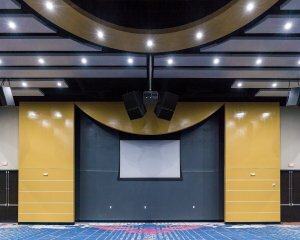 The rental includes an 80″ screen per section, tables, chairs, linens and Wi-Fi with audio and visual capabilities at an additional cost. With hotel accommodations adjacent to the venue and ample parking, guests will enjoy the proximity. If you’re interested in booking this space, CenterPointe Event Center is taking reservations for October 2017 and on. For reservations, contact Kathryn Barlow, event & sales manager, at 806.701.4545. Address: 4925 Marsha Sharp Fwy.